Cloudy with occasional rain during the afternoon. Morning high of 60F with temps falling to near 45. Winds W at 10 to 15 mph. Chance of rain 80%..
Savanah Bright, left, and Hannah Lightsey are two of the returning letter winners for the Albertville varsity girls basketball team. The Aggies are under the direction of new head coach Matt Nelson. Albertville’s Trinity Bell returns for his freshman season after earning his first varsity letter as an eighth-grader in 2016-17. 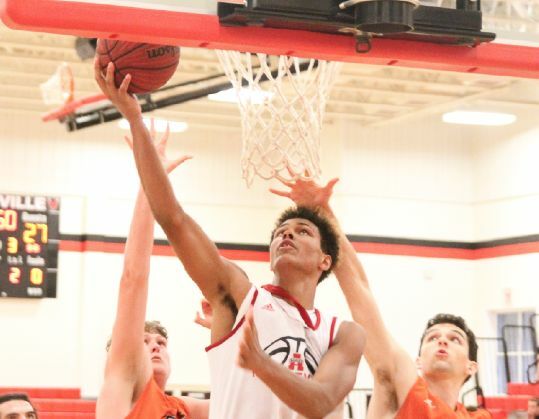 The Albertville High School basketball program tips off its 2017-18 season Friday night by hosting Marshall County rival Arab. The varsity girls start at 6, making their debut under new head coach Matt Nelson. The varsity boys play at 7:30. Nelson coached the Aggie junior varsity boys the last three years, leading them to three straight Marshall County championships. He succeeded John Butts as varsity girls boss. Butts retired after two seasons at Albertville. Nelson’s team features four seniors — Mamie Smith, Bri Paschal, Savanah Bright and Callie Bridges. Juniors include Hannah Lightsey, Mcall Roe and Kayla Marks. Lightsey joined the varsity as a freshman. Sophomores on the Aggies’ roster are Hannah Sanders, Grace Kelley, Savannah Rutledge and Journey Oden. Jayden Watkins is the lone freshman. The Aggies lost to Arab in the county tournament quarterfinals and fell to Brewer in the Class 6A, Area 14 Tournament semifinals last year. Albertville’s girls are just two seasons removed from posting back-to-back Northeast Regional Tournament appearances in 2015 and 2016. Patrick Harding begins his 19th season as Albertville’s varsity boys coach. He’s compiled a 362-190 record at AHS, including 10 seasons of 20 or more wins. The Aggies finished 15-16 a year ago. They beat Decatur 44-37 to win the Albertville Civitans Christmas Classic and defeated Brewer 73-48 in the 6A, Area 14 Tournament semifinals. AHS lost to Fort Payne 79-66 in the area tournament finals and fell to Oxford 74-52 in the subregional playoffs. Albertville’s returning players are seniors Dillon Harding and Carlos Moreno, junior Brodie Canterberry, sophomore Dane Harding and freshman Trinity Bell. Dillon Harding signed with Alabama-Huntsville on Nov. 9. Completing the roster are seniors Jerry Cervantes and Drew Snider and freshmen Ben Allen, Chi Jordan and Joseph Moore. 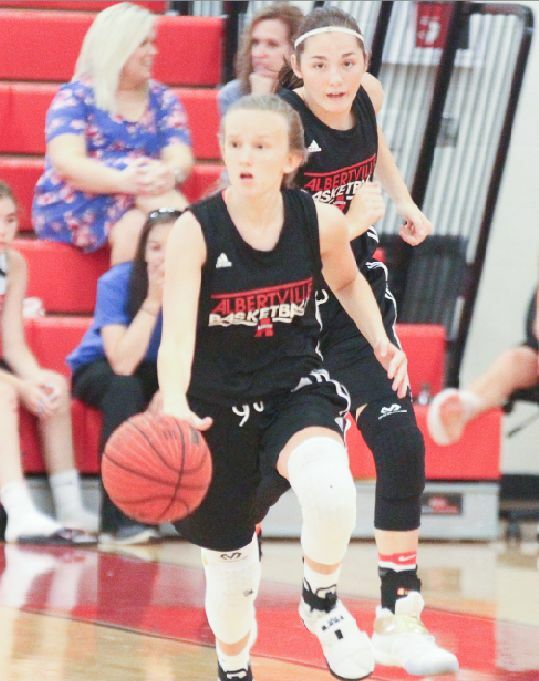 Albertville’s girls program will compete in the Southside Thanksgiving Invitational. On Monday, the Aggie JV girls play John Carroll Catholic at 3:30 p.m. followed by the Aggie varsity taking on John Carroll at 4:45. The Aggie teams will play in either the consolation games or the title games against Southside or Haleyville on Tuesday.